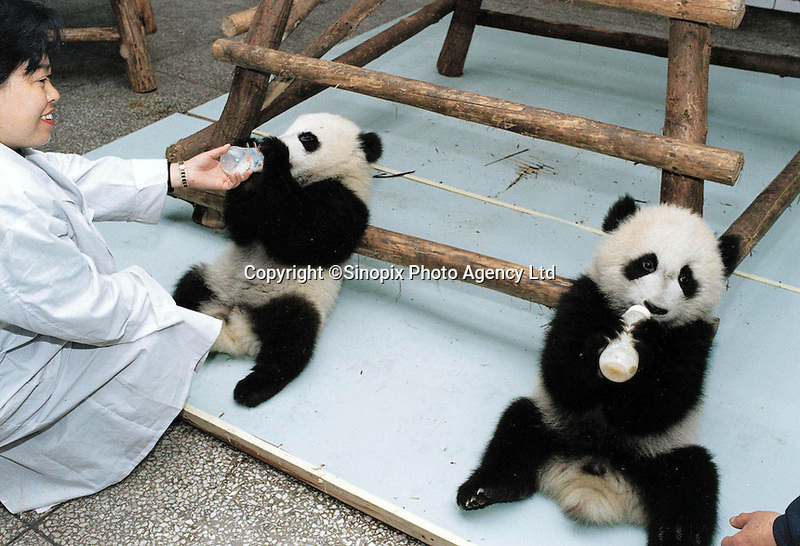 Qi Zeng (sp) on right (with twin on left), which means seven stiches (or holes), feeds himself with a babies milk bottle. The bouncing panda cub survived after being rejected by his mother and thrown across the cage. The new-born panda required an unprecedented operation to its abdomen requiring 7 stitches and according to the senior vet "it is a miracle" that he survived.